The Filis Law Firm, PC marks fifteen years serving clients in Harris County and the surrounding areas. With the perspective of being a parent of a child with special needs, I envision realistic preparation of the future with specially-tailored wills, trusts, guardianship of an adult child, divorce decrees, and long-term child support. The Filis Law Firm, PC is proudly celebrating its fifteenth anniversary. 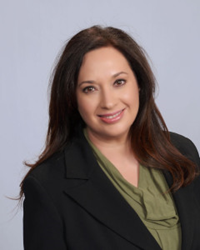 “I offer my sincere thanks to our clients for allowing me the opportunity to live the dream of an entrepreneur,” said Leona E. Filis, founder of the Filis Law Firm, PC. For the past several years, Filis Law Firm has given dozens of free presentations to parent groups covering legal topics that include special education rights, SSI and Medicaid Waiver Program eligibility, special needs trusts and guardianship of an adult disabled child. “With the perspective of being a parent of a child with special needs, I envision realistic preparation of the future with specially-tailored wills, trusts, guardianship of an adult child, divorce decrees, and long-term child support,” noted Filis. Filis is involved in her community through the Houston chapter of the Women’s Energy Network, the National Association of Professional Women, Friends of Down Syndrome Houston, Texas Guardianship Association, National Association of Women Judges, and Texas Women Lawyers. She is also a member of the Council of Parents Attorneys and Advocates (COPAA), Houston Bar Association and the State Bar of Texas. To learn about “Steps to Consider for Parents with Children with Special Needs,” visit http://www.houstonspecialneedsattorneys.com/product/steps-to-consider-for-parents-with-children-with-special-needs/. This publication has been prepared for parents with children who are diagnosed with a disability, whether it is autism, muscular dystrophy, cerebral palsy, or Down syndrome, or a dual diagnosis. Additionally, Filis Law Firm recently published its 20th edition of the “Filis News Flash,” a monthly publication about federal and local special education cases and laws, disability rights news, medical news, and local events. To view archived editions and to subscribe, please visit https://us13.campaign-archive.com/home/?u=456257e12d6676c1ad7bb692b&id=ba152fb6a8. Leona E. Filis helps families with children with special needs (Autism, Down syndrome, Duchenne Muscular Dystrophy, etc.) in areas including special education law, family law, probate/trusts, and guardianship. Practice areas of the Filis Law Firm also include general business law and energy law. For more information, please call (713) 462-1777, or visit http://www.filislaw.com. The law office is located at 5600 NW Central Drive, Suite 202, Houston, TX 77092.